Reporting Requirements as a Private Land Partner. County, State, Federal Reporting requirements as a money partner in a land deal. 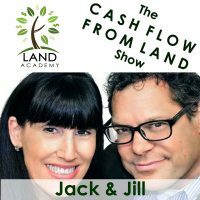 Jack Butala: Welcome to our show today and this episode, Jill and I talk about the reporting requirements as a private land money partner. Jill DeWit: Just the title is boring. Jack Butala: Thank you, thank you. Jill DeWit: That’s why I’m here. Jack Butala: This is a direct request from a member. Jack Butala: Very successful member. What do I have to do? I have a bunch of money now and I would rather, there’s people coming to me and they want partner some deals with me. What are the reporting requirements? It’s a good question. It’s worthy of a whole episode. Jill’s going to make it not boring. Jack Butala: Let’s take a question posted by one of our members before we get into it. On the landinvestors.com online community, it’s free. Jill DeWit: This is a very interesting question here that Robert asked, “Is it a good idea to have an accountability partner?” And my first thought is, “Is that another word for a wife?” (Laughs). Jill DeWit: Oh baby, that’s a bad idea. I’m going to hold you accountable for that. Don’t do it. (Laughs). Jill DeWit: I know the movie. Jill DeWit: And Jack Nicholson. Jack Butala: Exactly. And he’s a writer and so this woman walks up, who’s read all his books, and just looking at him in awe. She says, “How do you write women so well?” And he looks at her and says, “I think of a man and I remove reason and accountability.” (Laughs). Jill DeWit: I forgot that. Is that really the line? Jack Butala: That’s the whole line. Jack Butala: Well I can see where this show’s going. Jack Butala: (Laughs) I don’t know what Robert means here. Jack Butala: [inaudible 00:01:45] A partner who’s accountable? Jill DeWit: I think that someone that’s checking all the boxes and making sure you’re, and it actually ties into this show. Is it a good idea to have a partner who’s making sure everything gets done correctly? And I would have to say, “Yes.” Do I really want someone coming and knocking on my door because I’m not filing the right papers or not doing things the right way? No. You don’t want to do it after the fact. Jack Butala: This is how I live my life. I don’t ever do anything where I don’t know what the outcome’s going to be. Jack Butala: No I’m not going to do that. (Laughs). Jill DeWit: (Laughs.) “Hey Jill, that sounds like a good idea. We’ll figure it out as we go.” (Laughs). Jill DeWit: Much easier to ask for forgiveness. Jack Butala: I would never do that. I just bought a car, that’s almost 50 years old, for half of what I can sell it for next week. Jack Butala: It’s a predictable outcome. Jack Butala: So, accountability is my middle name. Jack Butala: When it’s not Caption Obvious. Jack Butala: Or Captain Accountability. Jill DeWit: I hope that answers Robert’s question. (Laughs). Jack Butala: (Laughs). It’s always a good idea to make people accountable. Jack Butala: We have an ever growing staff of accountable people. Jill DeWit: Well you know what, and I think one of the things that we talk about in our community is, if there’s something you’re not good at, that’s a really good thing you should find in a partner. So if you know you’re not good at numbers, or you’re not good at talking to customers, you don’t like doing this part of the business, you’re not good at paperwork. Whatever it is. That’s a really good thing to look for in a business partner because then you’re going to complement each other and kill it. Jack Butala: Don’t fight it, by the way. Jack Butala: If you can’t stand talking to customers, get somebody else to do it. Jack Butala: Do what you’re good at, yeah. Jack Butala: This parlays perfectly into today’s topic, which almost never happens. 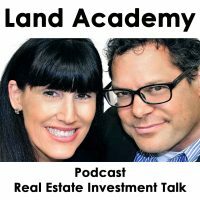 If you have a question or you want to be on the show, reach out to either one of us on landinvestors.com. Jack Butala: And that’s what this show is really about. His concern was, “What do I have to file?” There’s several ways you can approach this, but here’s my recommendation. A lot of the work, the bad character, bad sieve work, is done for you because they’re in our group. Jack Butala: There’s been a few times I’ve had to kick some people out of our group because they’re just bad seeds. Jack Butala: So just by the fact that they’re members of our group, that’s good. Jack Butala: So then it becomes structure, right? If you have a deal, that guy’s got a deal. The member who has the property, but not the money, let’s say he’s got a 40 acre property on your contract for four grand and he doesn’t have the four grand. How do you structure that? The money guy’s like, “Yeah, I have the four grand, let’s do it.” What do you do? My recommendation is to form a simple LOC. You choose a state, like Arizona, doesn’t have to be Arizona. Like Arizona, it’s real simple. I just wanted to know [inaudible 00:05:55] for a bunch of deals that we’re going to do, in less than three days. Jill DeWit: In a day. Jack Butala: To fill all this stuff out. So now, your 50/50 partner, the money guy, puts four grand in. Jack Butala: They buy the property together. Both of them have to sign everything. They have to sign off on the acquisition through title and sign off on the sale. So nobody can screw the other person. Jack Butala: If you’re done and everybody decides that they hate each other, they need to file a tax return, which shouldn’t cost three, four hundred dollars at the end of the year, for that LOC and you’re done. Jack Butala: Or, you do it again. And again, and again, which is actually what we’re seeing. Now use that same LOC, now the money guy, everybody [inaudible 00:06:42] each other. The money guy puts 58 hundred thousand dollars into that LOC and the other guy does all the work by purchasing in the sales and the money guy ends up just signing his name all the time. Jill DeWit: Well I have a question, Jack. So, somebody got wind of what we’re doing and they [inaudible 00:06:59] with another one. Can I do this again, and again and again? Jack Butala: In the same LOC, you don’t ever have to do another. Jill DeWit: Well what if I want to do it with a different guy though? Can I have 16 LOCs with 16 different people? Jack Butala: 6 million LOCs. Jack Butala: Absolutely, and if you have a [sub-s 00:07:12] corporation, all those LOCs are all up into your personal return. A [sub-s 00:07:17] election. Please research this heavily because if you’re money guy, reach out to us and we’ll help you get this all set up. Jill DeWit: Not me, don’t reach out to me. (Laughs). Jill DeWit: There’s a reason why I am not into accounting. Not my thing. (Laughs). Jack Butala: We have some members in the deep south that are doing this. They’re heavy hitters of commercial contracting companies and stuff. They’re killing it. Jack Butala: I know, I know. Jill DeWit: So, just to tie this all together, I’m happy to be out there negotiating, buying, selling, getting all this stuff done. But when it comes to the back end, cleaning it all up, making it look pretty, filing forms, IRS and taxes, that is not my thing. I do not want to be apart of that. And I understand and I know a lot of it. Way more than I like to. (Laughs). Jack Butala: Let’s go to the beach. Jack Butala: I mean it. Jill DeWit: I know that. (Laughs). Jill DeWit: I’m happy with that. Thank you, Jack. Jack Butala: Do you ever have a business relationship or social relationship with somebody where everyone wants to know all the details and they all have to be in control? It just doesn’t work. Jill DeWit: No. Do you know what? Here is a positive thing. So you take care of it with business and I’m your accountability partner when it come to your attire. (Laughs). Jack Butala: (Laughs). My attire? Jill DeWit: You can’t go out like that. (Laughs). Jill DeWit: Yeah, you cannot wear those shoes or that. No. (Laughs). Jack Butala: You know what? You run the offices. Jack Butala: You run these households. Jill DeWit: Schedules and hours and who’s doing what, yes, thank you. And I take care of that, thank you. Jack Butala: I don’t have any idea what goes on in this house. Jill DeWit: No. It’s perfect. Jack Butala: It is perfect. (Laughs). Jill DeWit: (Laughs). It’s good. Jack Butala: I come home and there’s clothes laid out on the bed. Jack Butala: I get to choose [crosstalk 00:09:22]. Jill DeWit: There’s food in the fridge. Everything’s great. (Laughs). Jack Butala: There’s clothes on the bed [crosstalk 00:09:27]. Jill DeWit: You know how they got there. Jack Butala: It’s a guy’s dream actually. Jack Butala: I really mean it. Jill DeWit: Yeah, it is. It’s good. Our set up, I couldn’t be happier. Jack Butala: Hey that’s a whole show. Jill DeWit: Thank you. (Laughs). Jill DeWit: I speak for all of our listeners. (Laughs). Jack Butala: (Laughs). I’m trying to get through this. Look, it’s not my favorite topic. (Laughs). Jack Butala: It’s just that, so there’s a 1099 depending on which end of that arrangement you’re on. (Laughs). Jill DeWit: And I’m so sorry. Right now I’m folding a paper airplane. (Laughs). Jack Butala: (Laughs). There’s a few reporting requirements that you have to do, on each end. Each of you have to file a 1099, for miscellaneous income receipt, interest received. Just like if you have a mortgage with the real bank. It’s as simple as that. There’s no big deal or [inaudible 00:11:20] reporting requirements and it’s nothing that a half hour with your accountant. Get it under your hat and forget it. Jack Butala: And that’s the truth of it. (Laughs). Jill DeWit: (Laughs). I was that kid, you know that right? Jill DeWit: Oh my gosh. 6th grade, Mr. Tinsman. Thought he had us all figured out. He moved me to the front of the room. That didn’t work. Moved me to the back of the room. That didn’t work. So he moved me to the corner and he put a bookcase in front of me so I could not talk to people. So then, I thought, “All right.” So I’m sitting at this bookcase staring at me and I was obviously bored, I’d finished my work, I was all done and that’s why I was chatting. So I thought, “You know, I’m going to make some signs.” And it was this bookcase was all the dictionaries and all the resources for the classroom. So I put up signs and I’d rent them out for 25 cents a day. I thought this was very smart. Taped them all over the thing. So, Mr. Tinsman said, “All right,” and he called me over, had me sit at his desk and he explain to me his commission, on what it would be. I was more than welcome to charge the 25 cents a book for everybody to rent them out, but his commission would be “X” and by the time it was all done, I went and took all the signs down. Jack Butala: What was the commission? Jill DeWit: (Laughs). It was more than worth my while. (Laughs). Jack Butala: That’s not fair. Jill DeWit: I know. I thought that was pretty funny, yeah, [crosstalk 00:12:32]. So I took all the signs down [crosstalk 00:12:33]. Jill DeWit: Yeah. It was really funny. (Laughs). Like, “Okay, nevermind.” (Laughs). Jack Butala: And then you just gave up? Jill DeWit: I’m sure I come up with some other things, but that’s enough for now. (Laughs). Jack Butala: I got sent home in grade school for a bunch of stuff. But one of the things that I got sent home for is, me and this other kid, we had a fish tank in 5th grade. Jack Butala: We would just put stuff in the fish tank to see what the fish would eat. Jill DeWit: And lead and oh yuck. Jill DeWit: Did you kill any fish? Jill DeWit: Oh no. (Laughs). Jack Butala: (Laughs). Anything with mold on it. Jill DeWit: Oh no. That’s disgusting. Jack Butala: Boys in grade school, there’s mold on it. Jill DeWit: How many weeks were you guys at this before they caught up with you? Jack Butala: [inaudible 00:13:29] all the fish died. Jack Butala: We wouldn’t go out for recess. I don’t remember all the details. And then I got home and my parents are like, “That’s maybe the funniest thing I’ve ever heard.” I got into a lot of trouble when I was a kid, but they laughed about that. (Laughs). Jill DeWit: (Laughs). Oh gosh, that’s good. Jill DeWit: And get totally sidetracked. And then inspiration, that’s me. Jack Butala: We get just about anything you want. Jill DeWit: We use it every day to make this show entertaining and buy property for half of what it’s worth and sell it immediately. Jack Butala: You are not alone in your real estate ambition. I don’t think this show, we can’t top that, from the [inaudible 00:14:09]. Jill DeWit: I don’t know. Birthday, I’m just trying to think what can I do. (Laughs).